Milly is the Helcat’s main gunner. 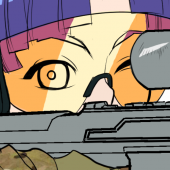 Her steady hand and precise trigger finger lend to her skills at both operating the Abrams’ 120mm cannon and the plethora of scoped rifles she has brought along for her journey. 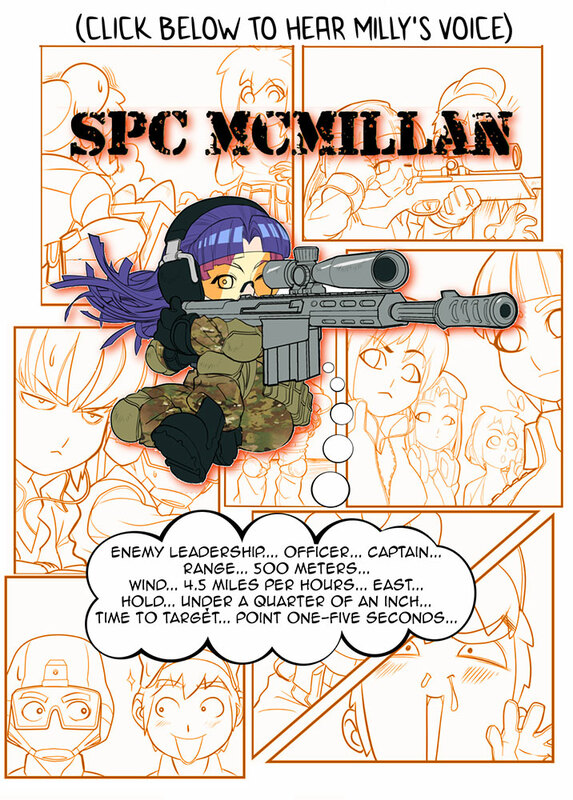 Calm and collected, SPC McMillan is relied upon to execute dangerous orders in a pinch, her keen eyesight and quick calculations have been the bane of many confident foes who thought themselves out of reach of death’s touch. Originally from rural Arizona, the Specialist suppresses the pain of great losses in her past with the swift gratification of high velocity revenge.